UK fragile roof signs A5caution fragile roof (polish) 1.2 mm rigid plastic signs. UK fragile roof signs - A5 caution fragile roof (polish) 1.2 mm rigid plastic signs. UK fragile roof signs A4 Caution fragile roof (polish) 1.2 mm rigid plastic signs. UK fragile roof signs - A4 caution fragile roof (polish) 1.2 mm rigid plastic signs. UK fragile roof signs 400 x 300 mm Caution fragile roof (polish) 1.2 mm rigid plastic signs. 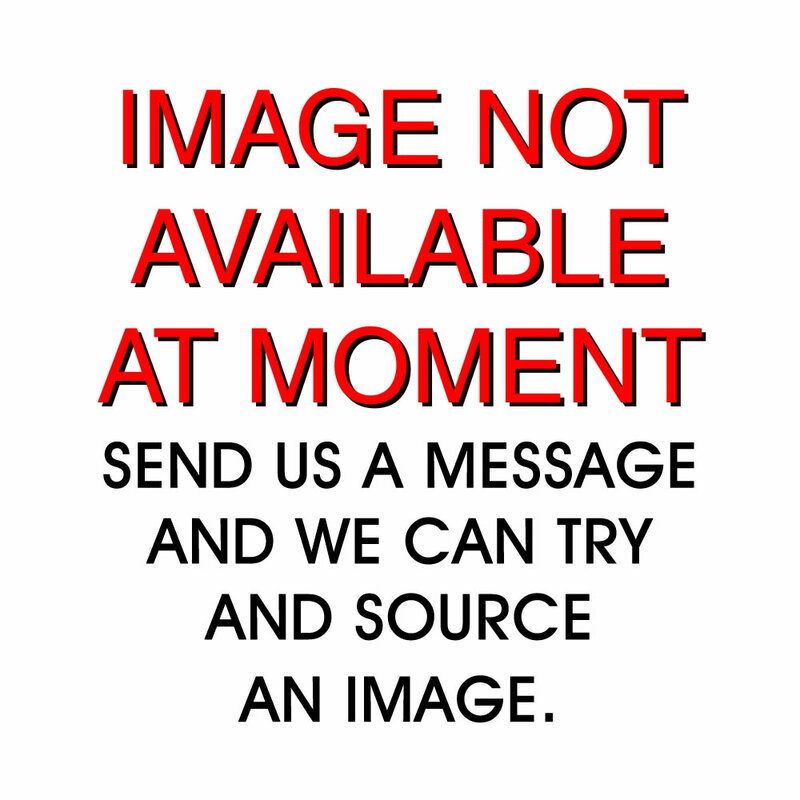 UK fragile roof signs - 400 x 300 mm caution fragile roof (polish) 1.2 mm rigid plastic signs. UK fragile roof signs A3 Caution fragile roof (polish) 1.2 mm rigid plastic signs. UK fragile roof signs - A3 caution fragile roof (polish) 1.2 mm rigid plastic signs. UK fragile roof signs A5caution fragile roof (polish) 1.2 mm rigid plastic signs with s/a backing. UK fragile roof signs - A5 caution fragile roof (polish) 1.2 mm rigid plastic signs with self adhesive backing. UK fragile roof signs 600 x 450 mm Caution fragile roof (polish) 1.2 mm rigid plastic signs. UK fragile roof signs - 600 x 450 mm caution fragile roof (polish) 1.2 mm rigid plastic signs. UK fragile roof signs 400 x 300 mm Caution fragile roof (polish) 1.2 mm rigid plastic signs with s/a backing. UK fragile roof signs - 400 x 300 mm caution fragile roof (polish) 1.2 mm rigid plastic signs with self adhesive backing. UK fragile roof signs A3 Caution fragile roof (polish) 1.2 mm rigid plastic signs with s/a backing. UK fragile roof signs - A3 caution fragile roof (polish) 1.2 mm rigid plastic signs with self adhesive backing. UK fragile roof signs 600 x 450 mm Caution fragile roof (polish) 1.2 mm rigid plastic signs with s/a backing. 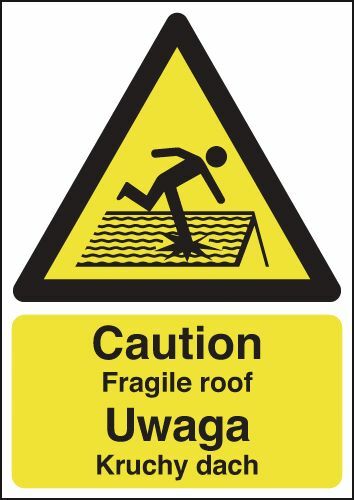 UK fragile roof signs - 600 x 450 mm caution fragile roof (polish) 1.2 mm rigid plastic signs with self adhesive backing. UK fragile roof signs A4 Caution fragile roof (polish) 1.2 mm rigid plastic signs with s/a backing. UK fragile roof signs - A4 caution fragile roof (polish) 1.2 mm rigid plastic signs with self adhesive backing. UK fragile roof signs A5caution fragile roof 1.2 mm rigid plastic signs. UK fragile roof signs - A5 caution fragile roof 1.2 mm rigid plastic signs. UK fragile roof signs 300 x 250 mm Caution fragile roof 1.2 mm rigid plastic signs. UK fragile roof signs - 300 x 250 mm caution fragile roof 1.2 mm rigid plastic signs. UK fragile roof signs A4 Caution fragile roof 1.2 mm rigid plastic signs. UK fragile roof signs - A4 caution fragile roof 1.2 mm rigid plastic signs. UK fragile roof signs 400 x 300 mm Caution fragile roof 1.2 mm rigid plastic signs. UK fragile roof signs - 400 x 300 mm caution fragile roof 1.2 mm rigid plastic signs. UK fragile roof signs 300 x 500 mm Caution fragile roof 1.2 mm rigid plastic signs. 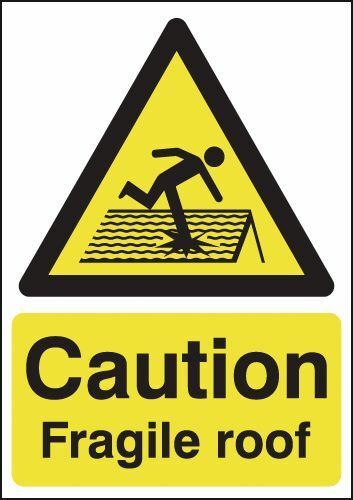 UK fragile roof signs - 300 x 500 mm caution fragile roof 1.2 mm rigid plastic signs. UK fragile roof signs A5caution fragile roof 1.2 mm rigid plastic signs with s/a backing. UK fragile roof signs - A5 caution fragile roof 1.2 mm rigid plastic signs with self adhesive backing. UK fragile roof signs A3 Caution fragile roof 1.2 mm rigid plastic signs. UK fragile roof signs - A3 caution fragile roof 1.2 mm rigid plastic signs. UK fragile roof signs A2 420 x 598 mm Caution fragile roof 1.2 mm rigid plastic signs. UK fragile roof signs - A2 caution fragile roof 1.2 mm rigid plastic signs. UK fragile roof signs 300 x 250 mm Caution fragile roof 1.2 mm rigid plastic signs with s/a backing. UK fragile roof signs - 300 x 250 mm caution fragile roof 1.2 mm rigid plastic signs with self adhesive backing. UK fragile roof signs 600 x 450 mm Caution fragile roof 1.2 mm rigid plastic signs. UK fragile roof signs - 600 x 450 mm caution fragile roof 1.2 mm rigid plastic signs. UK fragile roof signs 400 x 300 mm Caution fragile roof 1.2 mm rigid plastic signs with s/a backing. UK fragile roof signs - 400 x 300 mm caution fragile roof 1.2 mm rigid plastic signs with self adhesive backing. UK fragile roof signs 300 x 500 mm Caution fragile roof 1.2 mm rigid plastic signs with s/a backing. 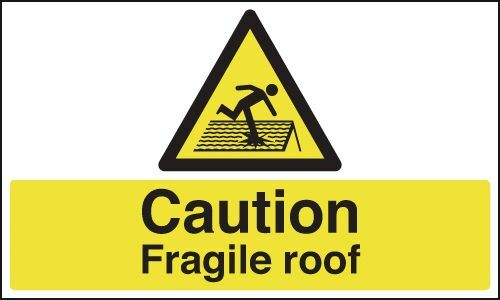 UK fragile roof signs - 300 x 500 mm caution fragile roof 1.2 mm rigid plastic signs with self adhesive backing. UK fragile roof signs A1 Caution fragile roof 1.2 mm rigid plastic signs. UK fragile roof signs - A1 caution fragile roof 1.2 mm rigid plastic signs. UK fragile roof signs A3 Caution fragile roof 1.2 mm rigid plastic signs with s/a backing. UK fragile roof signs - A3 caution fragile roof 1.2 mm rigid plastic signs with self adhesive backing. UK fragile roof signs A2 420 x 598 mm Caution fragile roof 1.2 mm rigid plastic signs with s/a backing. UK fragile roof signs - A2 caution fragile roof 1.2 mm rigid plastic signs with self adhesive backing. UK fragile roof signs 600 x 450 mm Caution fragile roof 1.2 mm rigid plastic signs with s/a backing. UK fragile roof signs - 600 x 450 mm caution fragile roof 1.2 mm rigid plastic signs with self adhesive backing. UK fragile roof signs A1 Caution fragile roof 1.2 mm rigid plastic signs with s/a backing. UK fragile roof signs - A1 caution fragile roof 1.2 mm rigid plastic signs with self adhesive backing. UK fragile roof signs A4 Caution fragile roof 1.2 mm rigid plastic signs with s/a backing. UK fragile roof signs - A4 caution fragile roof 1.2 mm rigid plastic signs with self adhesive backing.